The dedication reads "Love to Dr. Karl -- 'The First Six'". 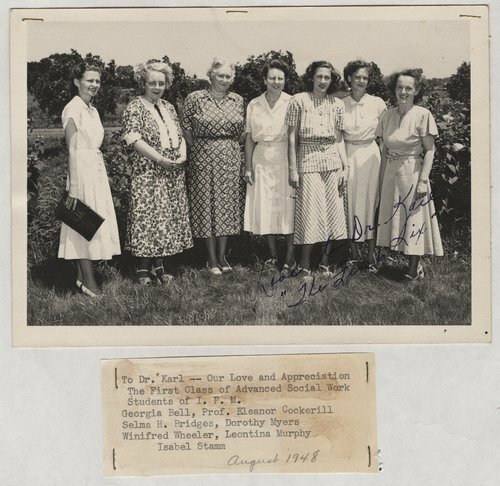 The photograph shows Georgia Bell, Prof. Eleanor Cockerill, Selma H. Bridges, Dorothy Myers, Winifed Wheeler, Leontina Murphy and Isabel Stamm. They were trained at the Menninger Foundation in Topeka, Kansas.